Oracle's claim that Google violated several of its patents and copyrights goes to trial in a San Francisco court on Monday. It is one of the biggest such tech lawsuits to date. 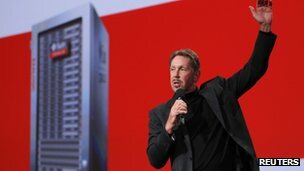 Oracle is claiming about $1bn (£630m) in compensation. 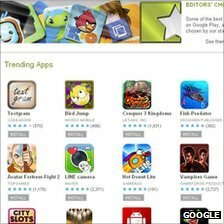 The Java developer claims Google's Android system infringes intellectual property rights relating to the programming language. Software engineers warn the case could set a worrying precedent. Java was first released in 1995 and allows software to be run across computer platforms, rather than just being limited to one type of operating system. Oracle - a business hardware and software provider - inherited the intellectual properties when it took over Java's original developer, Sun Microsystems, in 2009. The language is used by many business applications as well as other software, such as the video game Minecraft, on PCs. Oracle argues that by using its intellectual property, and then giving Android away for free, Google undermined the possibility of it licensing Java to mobile phone makers. It adds: "Because Android exploits Java but is not fully compatible with it, Android represents Sun's, and now Oracle's, nightmare: an incompatible forking of the Java platform, which undermines the fundamental 'write once, run anywhere' premise of Java that is so critical to its value and appeal." Much of the case does not centre on Google's use of Java itself - which is free for anyone to use without licence - but rather the Android-maker's use of 37 APIs (application programming interfaces) which allow developers to write Java-compatible code. APIs allow different parts of a programme to communicate together as well as letting one application share content with another. "APIs are the glue that allows computer programs to talk to each other - in this case Android apps use them to access the phone's features like its screen and memory," said Dan Crow, chief technology officer at Songkick and a former Google tech team leader. "If Oracle wins the case and APIs are held to be copyrighted, then in theory, virtually every application - on Android, Mac OS, Windows, iPhone or any other platform - has to be at least re-released under new licence terms," told the BBC. 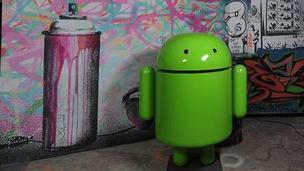 Oracle alleges that 103,400 lines of its API specifications appeared on Android's developer website. "The APIs represent years of creative design," Oracle said in a filed court document. "Other than a few classes, Google was not required to copy the selection, organisation, and structure of the APIs to be compatible with the Java programming language." However, Google argues that the technologies involved should not be covered by copyright law. "Without the APIs, the Java programming language is deaf, dumb and blind," its lawyers have claimed. "In addition, witnesses at trial will testify that developers expect the APIs to be available when they program in the Java programming language." Oracle also alleges that Google has infringed two of its patents relating to a data processing enhancement and a method to generate executable code. If Oracle wins the API copyright claims it could force Google to alter Android - a move likely to mean independent software developers would also have to recode apps designed for the platform. But engineers say they have more fundamental concerns about the precedent that could be set in what is already a lawsuit-prone industry. "The lives of developers would be much more complex," Simon Phipps, an ex-Sun employee,blogged for the Infoworld news site. "Complexity and confusion would return to a world where they have largely been expunged, bringing fear, uncertainty, and doubt back into open source software development." Malcolm Barclay, an independent developer of travel apps for iPhones, told the BBC: "It would be utterly ridiculous to think that using an API could infringe upon the intellectual property rights of an open platform. "It would not be practical to go under the hood of each API to see if someone was going to sue you over using it. "It would be the equivalent of buying a music CD and suddenly finding someone wanted to charge you for listening to track 10." Oracle would not comment on the developers' claims.